Our Technical Conservation Guidance brochure lists all our current free-to-download technical conservation guidance and research reports. It also includes information on our series of Practical Building Conservation books and guides on building stone types. The brochure also shows the links between our guidance and our research work underpinning our advice. 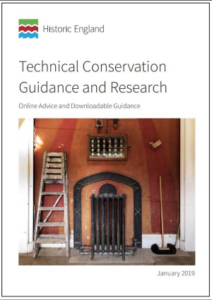 Download the Technical Conservation Guidance and Research brochure.